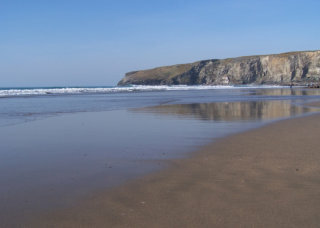 Trebarwith strand is approximately a mile and half south of Tintagel and can be reached on foot along the coast path by St Materiana's Church at Tintagel or via Treknow or Trewarmett. 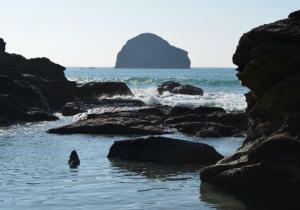 Trebarwith is a superb all round beach that boasts good bathing and surfing with plenty of nooks and crannies for the marine explorers amongst you. 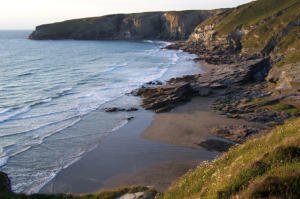 At low tide Trebarwith Strand is almost a half mile long stretch of unbroken golden sand. 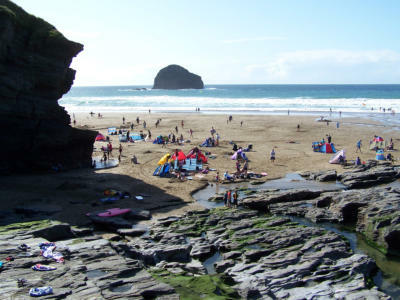 Trebarwith Strand is an excellent beach for surfing, with good general facilities, ample parking and easy access. If you are in a car then you may miss some of the most gorgeous views that are afforded to the walker. 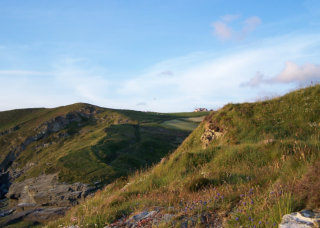 If you approach Trebarwith along the coast path from Tintagel you will pass by Hole Beach, with its mountain goat like tracks that wend down the steep cliff to the beach. Hole beach is only really accessible at low tide and I suggest you take heed of this. Further on along the path you pass by the old cliff quarry workings that are quite spectacular. Again these are accessible at low tide but do take care. Also there are several old mine shafts along this stretch of coast that used to yield copper and tin as well as silver. One of these shafts as stalagmites and stalactites growing within, but you will have to find them yourself, as I did when I was a lad. The surfing here at Trebarwith can be awesome and is a maojor draw during the Summer season. The swimmers and rock poolers are also well catered for so take note of the lifeguards requests and you will have a great day out here. The surf life saving club operates throughout the season. 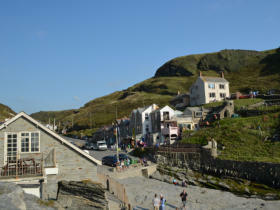 There is also Trebarwith surf shop and a cafe as well as the Port William Pub…. and yes there are loos. 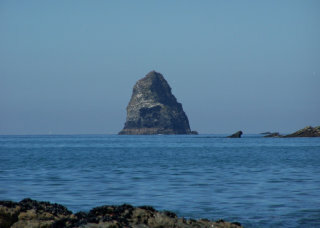 Gull Rock is a well photographed slate stack that as withstood the elements and stands proudly about a quarter of a mile off shore. Trebarwith with its vast cliffs, dark caves, fine golden sand and Gull rock, almost reminiscent of a dogs head, keeping watch off shore, make an excellent scene. It is understandable why so many folk return year upon year. The film industry as also made good use of this fact over the years. To the left is a view of Gull Rock taken from Tregardock. 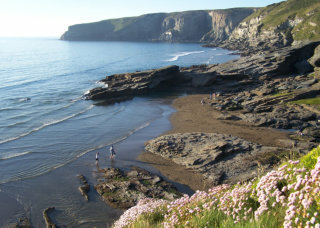 Backways Cove can be reached from Trebarwith Strand via the footpath that rises behind the Port William or via Trebarwith Village. 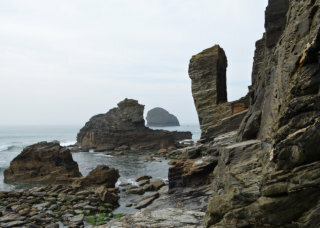 The photograph to the left shows Gull Rock in the distance. 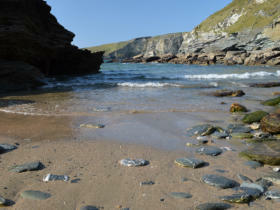 Backways is a pebbly cove with amazing cliff formations and various old remains of buildings and quarry workings. A haven for many sea birds as the coast along here is a little in accessible. Trebarwith Strand and Hole Beach in North Cornwall The Trebarwith Strand page is sponsored by The Mill House Hotel, Restaurant & Bar Trebarwith with its vast cliffs, dark caves, fine golden sand and Gull rock, almost reminiscent of a dogs head, keeping watch off shore, make an excellent scene. It is understandable why so many folk return year upon year. 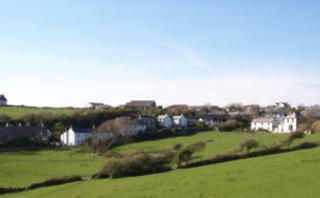 Trebarwith Strand lays approximatley 1 mile (as the crow flies) from Trebarwith Village. Trebarwith valley is a long wooded valley that starts near Trewarmett following the stream that runs all the way to the sea at Trebarwith. 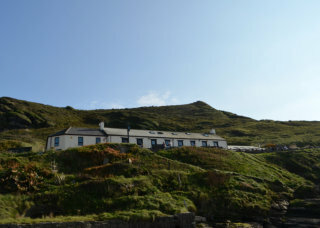 The Mill House Inn on the valley floor at the foot of Mill Hill, is a popular destination with locals and visitors alike as is the Port William which sits overlooking the beach. Both offer good food and fine ales. Treknow is a small hamlet approximately 0.5 miles from Trebarwith. It is a pretty little settlement that lies in a sheltered dip at the top of Mill hill. 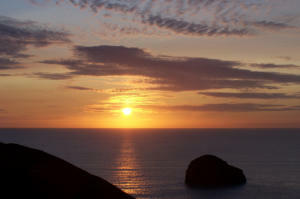 From here you get stunning views across Trebarwith valley and Treligga towards Port Isaac. The Mill House with its wooded valley setting, offers tranquil, relaxing surroundings, quality cuisine, and only a few minutes walk to the beach at Trebarwith. 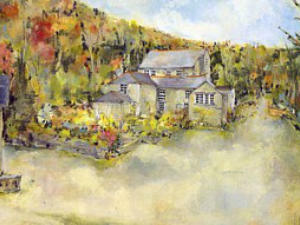 The Mill House originally known as Treknow Mill dates back to 1760 and was a working mill until the late 1930's. Menus are changed regularly and concentrate on the use of the best fresh fish, meat, produce and other ingredients all sourced locally. The hotel and restaurant are open all year (apart from Christmas Day) so whatever the season you can enjoy a relaxing stay at The Mill House. Look! 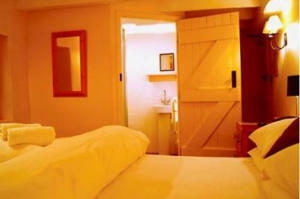 Bed and Breakfast accommodation in Trebarwith Valley at The Mill House. Tel: 01840 770200 WEBSITE: www.themillhouseinn.co.uk E-Mail: The Mill House Inn The Mill House offers quality accommodation close to Trebarwith Strand, Treknow and Trebarwith Village. ************************************************************* Please take care along our shore, and you will leave here wanting more. But if the warnings you ignore, then you may get more than you bargained for. 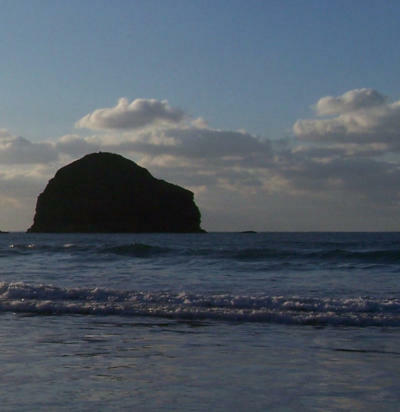 Stay Safe Play Safe ************************************************************* TRebarwith Strand is located on north Cornwall's rugged Atlantic coast. The Mill House with its wooded valley setting, offers tranquil, relaxing surroundings, quality cuisine, and only a few minutes walk to the beach at Trebarwith. 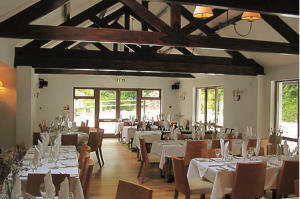 The Mill House originally known as Treknow Mill dates back to 1760 and was a working mill until the late 1930's.Menus are changed regularly and concentrate on the use of the best fresh fish, meat, produce and other ingredients all sourced locally. The hotel and restaurant are open all year (apart from Christmas Day) so whatever the season you can enjoy a relaxing stay at The Mill House. 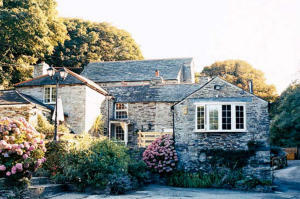 Tel: 01840 770200 WEBSITE: www.themillhouseinn.co.uk E-Mail: The Mill House Inn The Mill House offers quality accommodation close to Trebarwith Strand, Treknow and Trebarwith Village. *************************************** Please take care along our shore, and you will leave here wanting more. But if the warnings you ignore, then you may get more than you bargained for. Stay Safe Play Safe *************************************** Trebarwith Strand is located on north Cornwall's rugged Atlantic coast.